Our website address is: https://thetherapyroomcambridge.co.uk. For the purposes of processing your personal data, we are the Data Controller. As a small organisation, we do not employ a Data Protection Officer but please address any queries or concerns to The Therapy Room using the contact details above. numbers, email address, date of birth and gender. 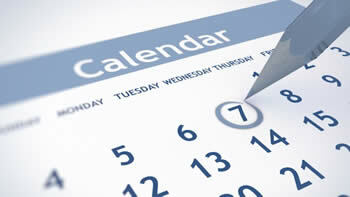 Your data is stored and processed by Rushcliff Limited who provide our appointments system. We do not share your personal data with anyone else unless required to do so by a regulatory or statutory order. We may use your personal data to remind you of your appointments by email or text. You can opt-out of this service at any time by contacting us at The Therapy Room. Our lawful basis of processing your personal data is legitimate interest. The legitimate interest is that we manage your appointments on behalf of the therapists who work at The Therapy Room and so we need to be able to identify you and maintain contact with you to arrange and modify appointments and handle queries about your appointments. We will maintain your information for 7 years after your last appointment. As we process your personal data, you have certain rights. These are a right to be informed, right of access, right of rectification, right of erasure, right to restrict processing, right to data portability, and right to object. However, in certain circumstances, some rights may be restricted or not applicable, for example if there is an overriding legal, regulatory or statutory duty on us. Please provide the following information: your name, address, telephone number, email address and details of the information you require. We will need to verify your identity so we may ask for a copy of your passport, driving license and/or recent utility bill. contact The Therapy Room and any necessary corrections to your data will be made promptly. If you believe we should erase your data or if you wish us to stop storing or using your data, please contact the clinic. However, if you request us to delete your data, you will have to re-register to use our services. You can contact the Information Commissioner’s Office (ICO) via their website: www.ico.org.uk if you wish to make a complaint about the way we are processing your personal data.